Gail Nason has spent most of her life as a self-confessed “couch potato”. But five years of battling cancer has taught her that exercise can, almost literally, be a lifesaver. 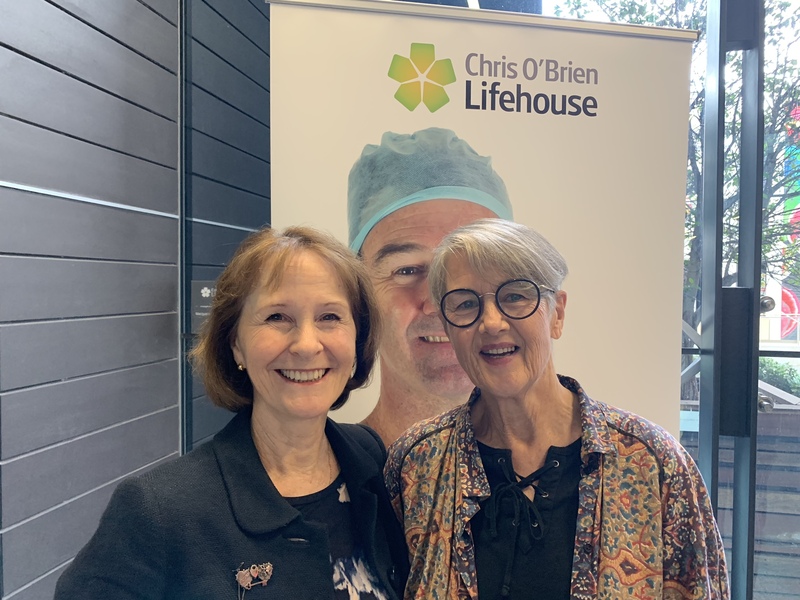 Initially diagnosed with breast cancer at the age of 75, Gail, a patient at the Chris O’Brien Lifehouse cancer hospital, said she did not want to undertake chemotherapy. “I told the doctor that, at my age, I didn’t want to spend my remaining years feeling so sick all the time,” she said. Gail started a prescribed exercise program and also had a nutritionist put her on “the right path”. “My mammogram earlier this year was all clear,” Gail said. “But unfortunately, the year before last, I was diagnosed with endo-uterine cancer and I had a complete hysterectomy in January 2017. Gail hit another hurdle late last year, after doctors found a tumour. She has been receiving radiotherapy for that, which is due to finish this month. “My exercise program was revised and I had to do exercise without straining myself, but I tell you, I have not looked back,” she said. Gail, now aged 80, walks between six and 10 kilometres each day, as well as riding a bike to her gym sessions at the Chris O’Brien Lifehouse. “I would emphasise this is prescribed exercise, each individual is different,” she said. The Clinical Oncology Society of Australia has launched a consensus statement on the role of Accredited Exercise Physiologists (AEP) in the treatment of cancer. Exercise physiologist at the Sydney Cancer Survivorship Centre, Jane Turner, said research continued to establish exercise as a medicine for people living with cancer. “People with cancer who exercise regularly experience fewer and less severe treatment-related side effects, as well as improved quality of life,” she said. Ms Turner added cancer patients needed tailored advice, an individualised program and structured support to be able to exercise safely and effectively, during and after their treatment. Michael Marthick, exercise physiologist at Chris O’Brien Lifehouse, said exercise was an integral component in cancer treatment. “AEP’s have a deep understanding of cancer pathology and treatment and are highly trained to deliver safe, individualised exercise programs, resulting in improved quality of life for cancer patients,” he said. There are more than 5000 Accredited Exercise Physiologists in Australia and any person with cancer, their family or friends can make an appointment with them. Gail added she was determined to keep up with her exercise regimen. “I’m a pretty positive person. And you know, exercise and a good diet is great for everyone,” she said. “Do I love exercise? No. But I respect it highly. “It’s not the first or second week that’s the hardest. It’s the fourth or fifth week. It doesn’t become any easier, but it becomes routine,” she said.